This fan-favorite event includes some of the most exciting racing of the season as drivers battle three-wide for a coveted DAYTONA victory. An annual summer tradition for NASCAR fans, enjoy the total experience of the Coke Zero Sugar 400 race and one of the biggest fireworks displays in the country! (See the entire Speedway schedule here). One of the most exciting weeks of the year in Daytona Beach - spend your Fourth of July weekend celebrating at the Daytona International Speedway and finish your Coke Zero Sugar 400 vacation beachside! 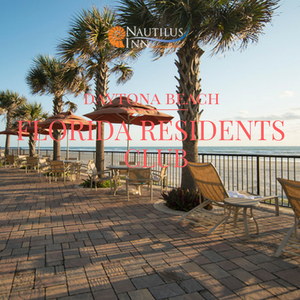 Located just a few miles from the Daytona International Speedway, guests of the Nautilus Inn on Daytona Beach will enjoy outstanding oceanfront rooms, our beachside pool, hot tub, daily complementary cocktail hour and daily deluxe breakfast! Take full advantage of Daytona's most exciting week of the summer and book your Coke Zero Sugar 400 vacation at Nautilus Inn. From our location on famous A1A you're invited to come and enjoy Daytona Beach's year round activities such as golfing, fishing, biking, shopping, walking on our beach, meeting new people and visiting Daytona's famous landmarks when you're not at the Daytona International Speedway - all conveniently located near our beachfront hotel. 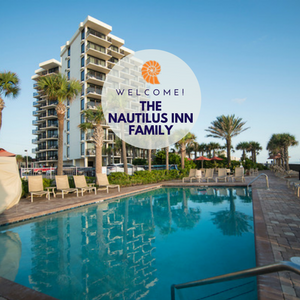 Get ready to pack your bags for an exciting Coke Zero Sugar 400 experience and a Nautilus Inn vacation - simply the best value in Daytona Beach! From the moment you arrive at our famous A1A location, you'll feel like you're on vacation! View our Summer Season Early-Booking Special offers or call (800) 245-0560. Hurry and make your reservation today!